We are here for you, your questions & concerns will be promptly dealt with. 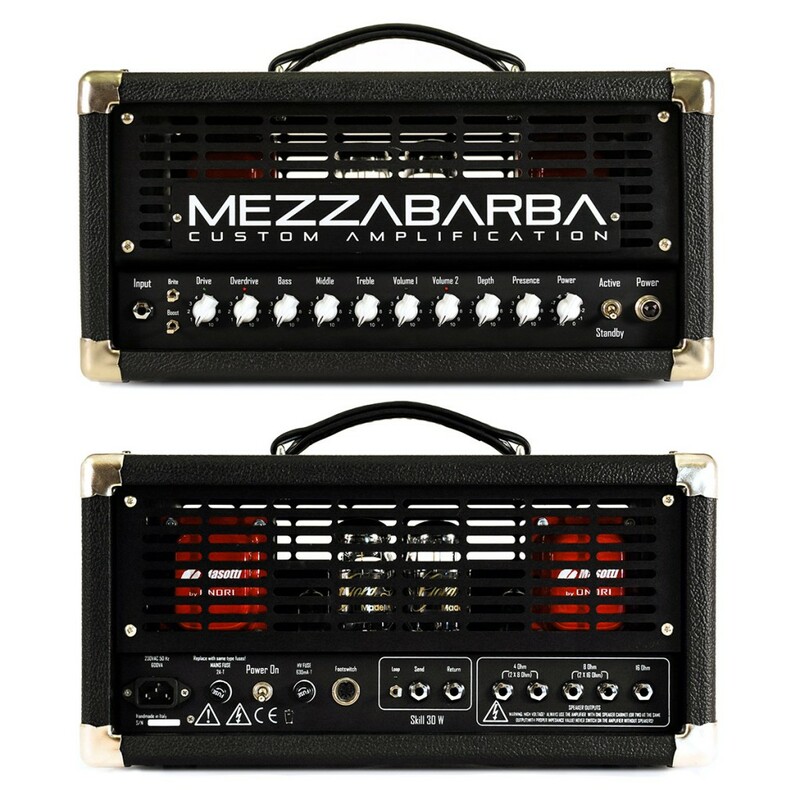 We like to talk amps, Mr. Pierangelo Mezzabarba ( owner and builder ) and JP Cervoni ( USA/Canada distributor ) are available 24/7. What we do is build a truly high quality product, with no compromise. 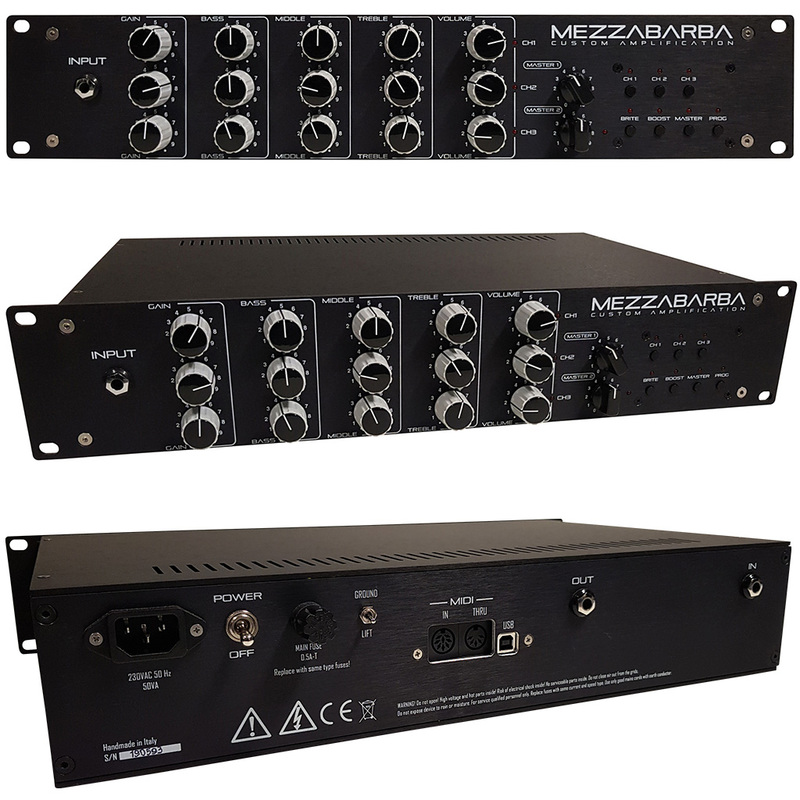 There is no production line, no cheap parts used, from the heavy-duty transformers specifically made for us, to the selected Tubes and everything in between, the product is built by hand, old school, simple, sturdy, reliable and…great sounding! 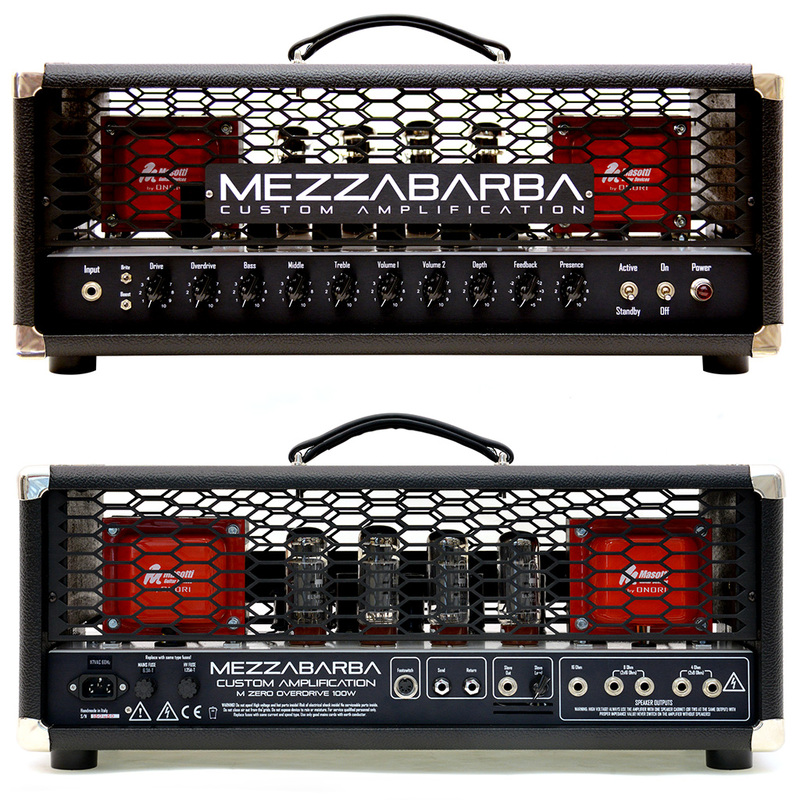 Our technology is the best fusion of Sound, Versatility and Reliability. Both technical and esthetics custom work available. 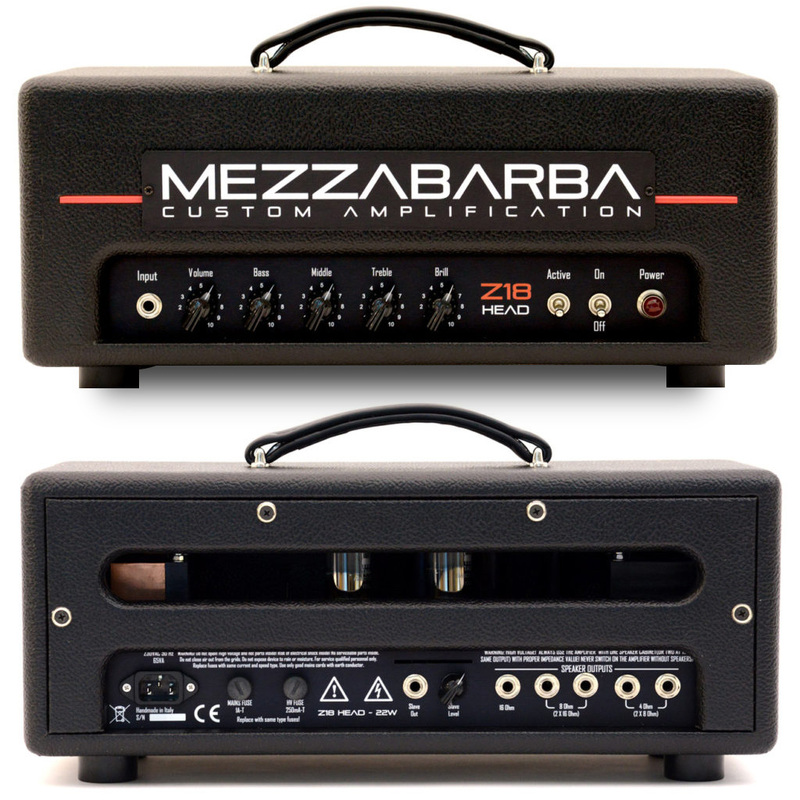 Amps, pedals, cabs and amp/speaker covers can be customized to individual needs, via direct communication by Phone or e-mail. Full Description Watch the Video! Buy It! 3 channel head: Clean, Drive and Overdrive – for 24 different sounds + FX Loop, all programmable. 3 channel – Clean, Drive and Overdrive – for 24 different sounds, all programmable, with 128 presets. Every channel has Boost, Bright and Dual Master functions. Channel 1: Gain, Bass, Middle, Treble, Volume. Channel 2: Gain, Bass, Middle, Treble, Volume. Channel 3: Gain, Bass, Middle, Treble, Volume. Available custom options: SysEx Midi Footswitch, USB programmer. Dimensions: 2 Rack Units, Depth 28 cm. 100% engineered and handmade in Italy. 2 Channels: recallable via footswitch. Serial, full-tube effects loop recallable via footswitch. Brite switch on the Clean channel boosts mid-high frequencies for utmost transparency. 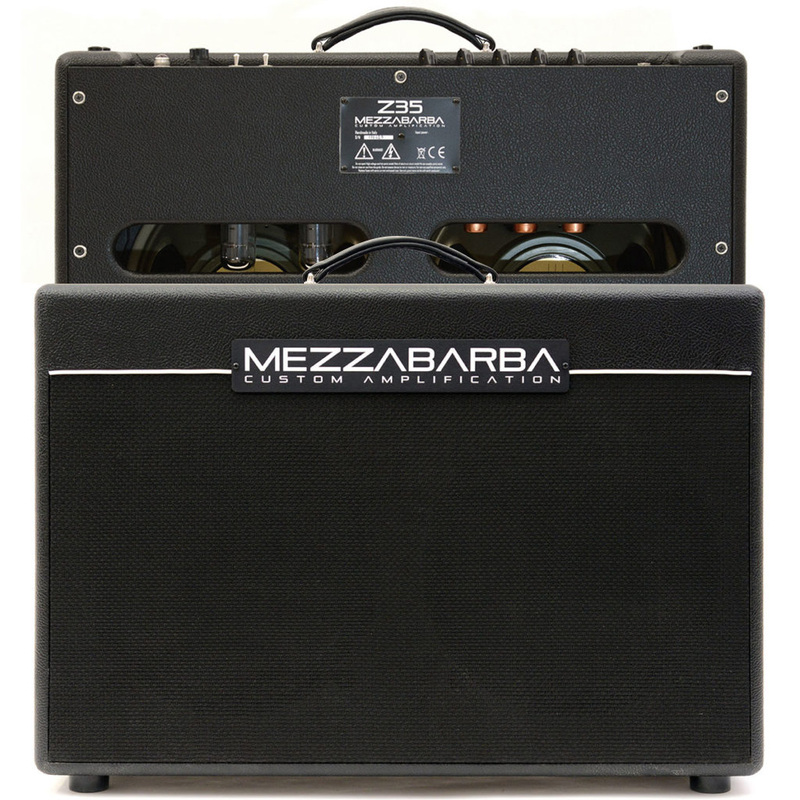 Just like all Mezzabarba amps, the power amp section features oversized transformers that deliver the best and most solid sound in any conditions, at any volume. Same electric feature of the head version. Slave out and Slave level. (Standard: Celestion Greenback G12M25, 8 ohm). Full Description Watch the Video!Buy It! Joe Satriani, Steve Vai, Mark Tremonti, George Lynch, Trent Reznor (Nine Inch Nails), John Nymann (Y&T), Steve Trovato, Doug Rappoport, Adrian Smith (Iron Maiden), John Jorgenson (Elton John, The Hellecasters), Eric Steckel, Alessandro Cortini (Nine Inch Nails), Joel Hoekstra (Whitesnake), Howie Simon (Alcatrazz, J.S. 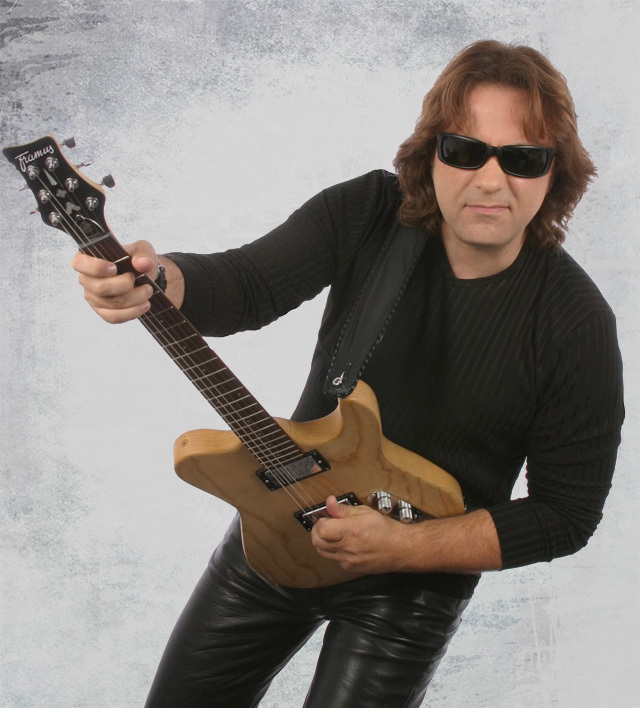 Soto, Winger), Stryper, Marco Sfogli (J. LaBrie, PFM, Icefish), Giacomo Castellano, Ira Black (I Am Morbid, Dokken), Rafael Moreira (Paul Stanley, Magnetico, American Idol), Ike Willis (F. Zappa), Mrs. Smith, Jon Conley (Kenny Chesney), Robert Sarzo (Geoff Tate, Hurricane), Brett Garsed, Vinnie Moore (Alice Cooper, UFO), Skin Tyson (Robert Plant), Mitch Perry (MSG, Hollywood Jam), Red Fang, William Stravato and many more. 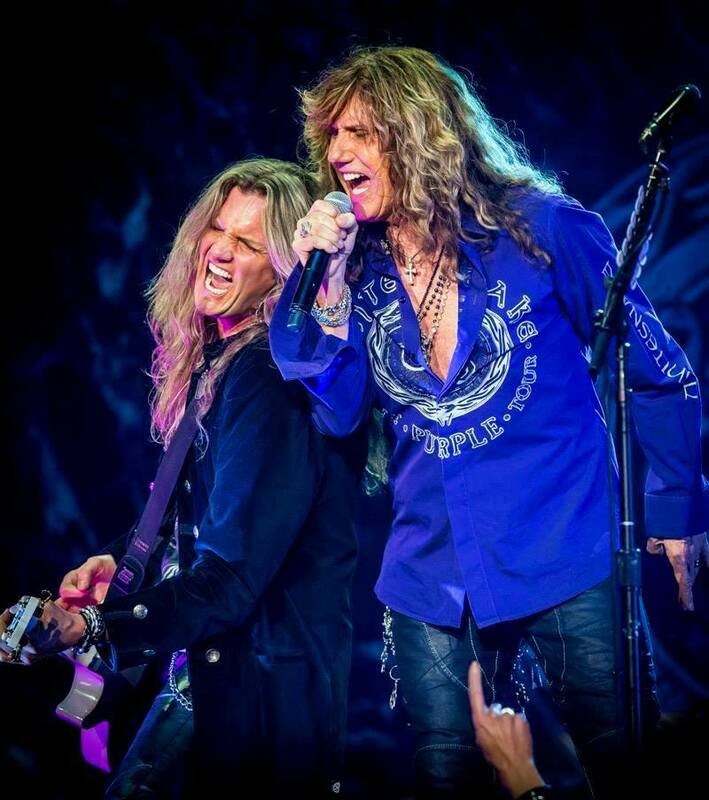 Whitesnake’s Joel Hoekstra received two M ZERO Overdrive, with special custom switching for his off-stage-rig, he loved “that” classic rock tone. I Am Morbid, Westfield Massacre, Metal Church, Vicious Rumors, Heathen and Lizzy Borden. 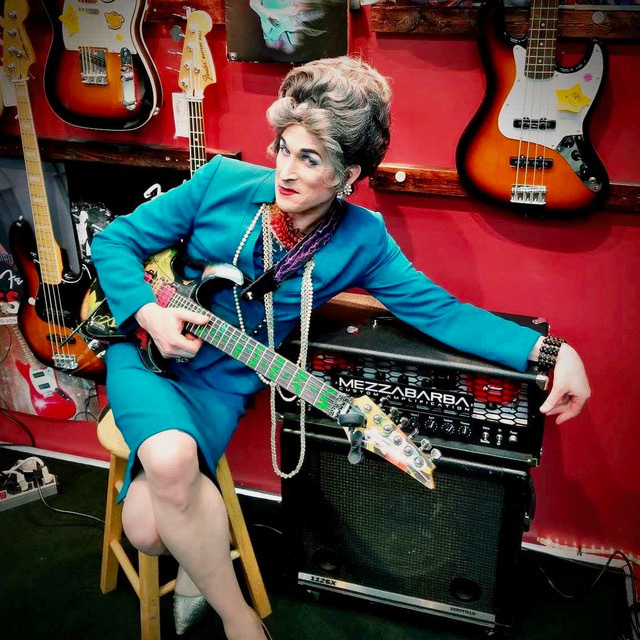 “I have played all kinds of amps and I just found the Holy Grail of guitar amplifiers! Go to the Official Page! 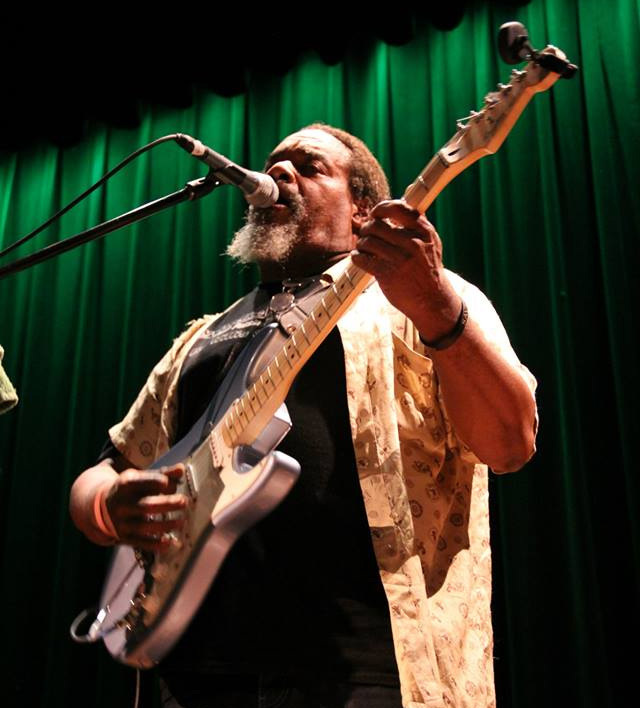 Overdrive Distribution owner and pro guitar player. 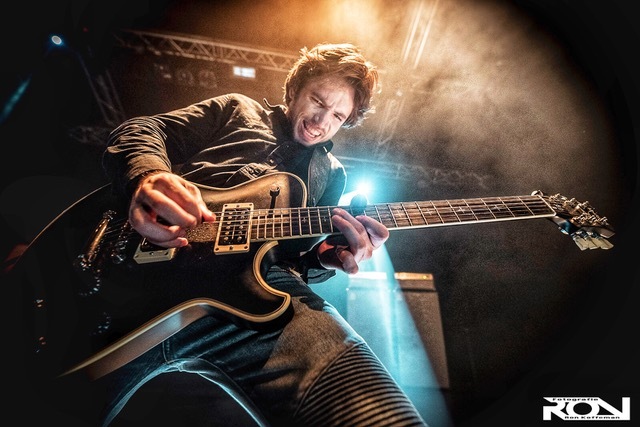 JP has worked with Buddy Miles, Marco Mendoza, The Babys, Simon Phillips, Steve Lukather, Scott Henderson, Carl Verheyen, John 5, Robert Trujillo, Derek Sheridian, Phil Soussan and many more. 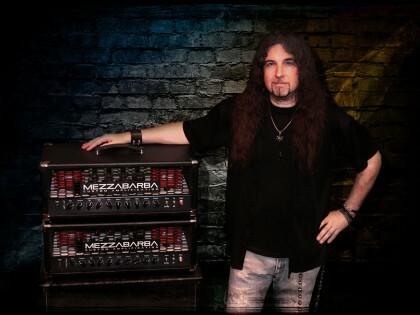 Masotti Guitar Devices CEO and founder. 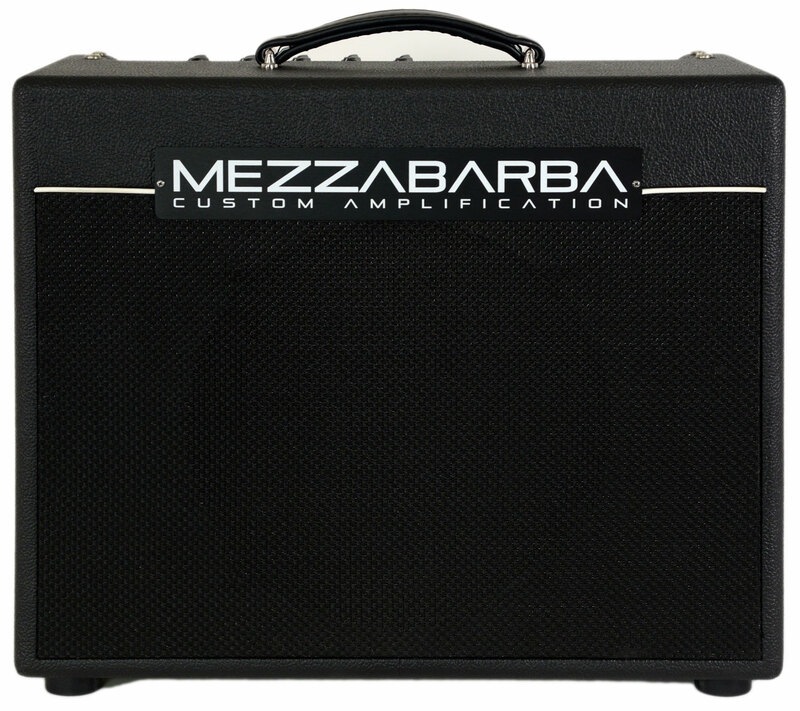 Mezzabarba Custom Amplification Owner. Amp builder. 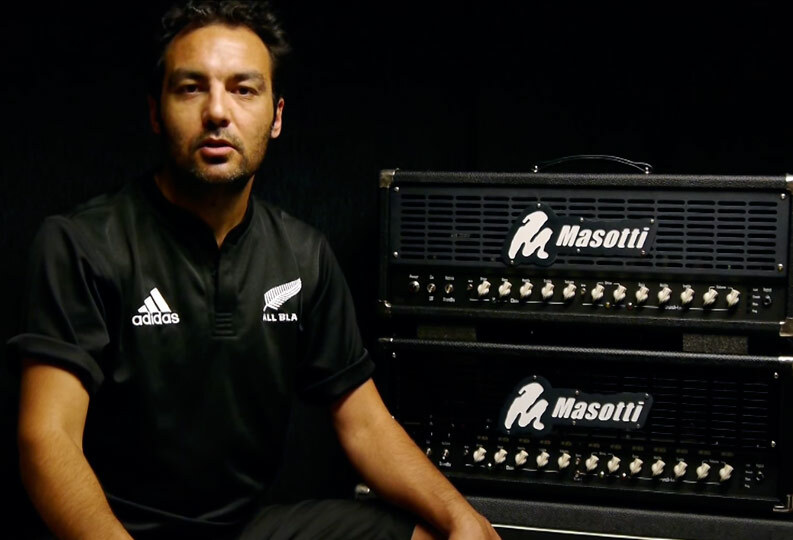 Engineer for Masotti Guitar Devices and Mezzabarba Custom Amplification. Tone addicted. With Mezzabarba Skill the tone for my songs is perfect. Definition and color are great. Best sounding 30w head I've ever heard. 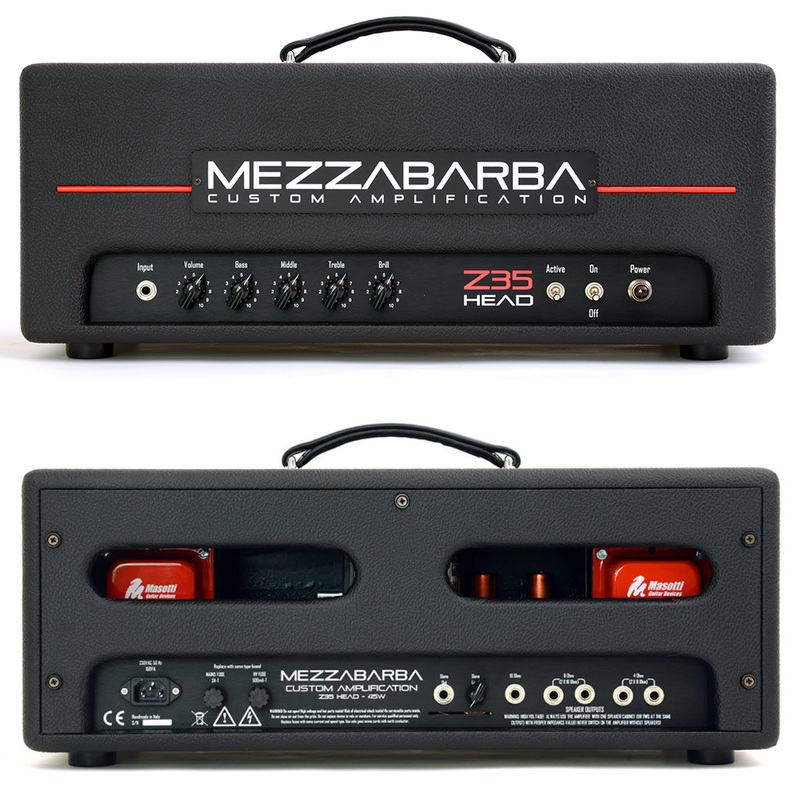 "My Mezzabarba M ZERO sounds amazing! Its got the warm vintage tones that I love, and its got all the thud and crushing power you could ever want!!!!
" 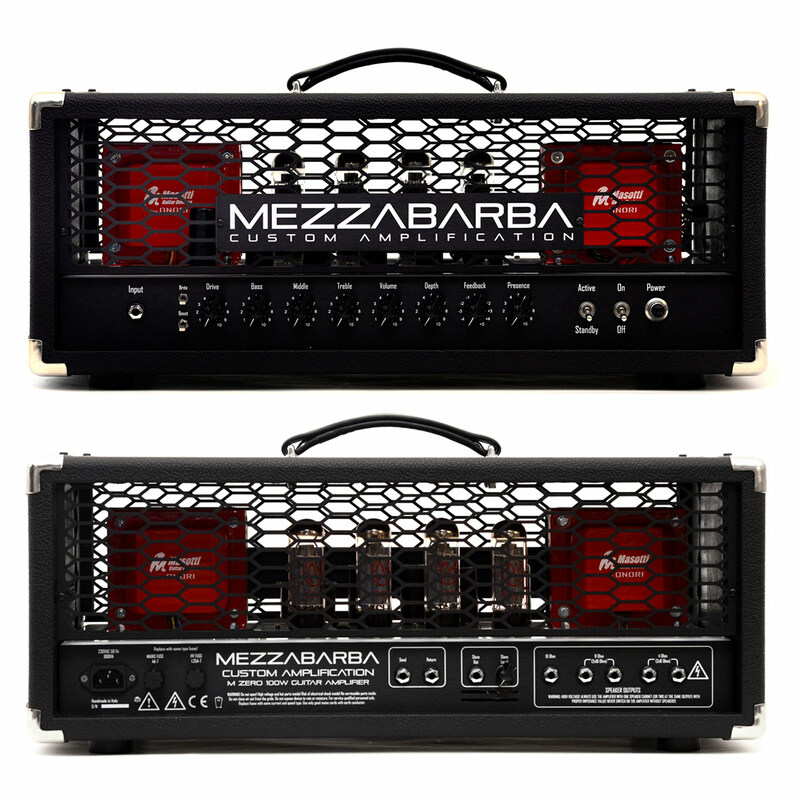 I'm playing Mezzabarba amps and I'm having a great time! They sound fantastic, I love them and you should love them too." "Well, I think I've finally found it! 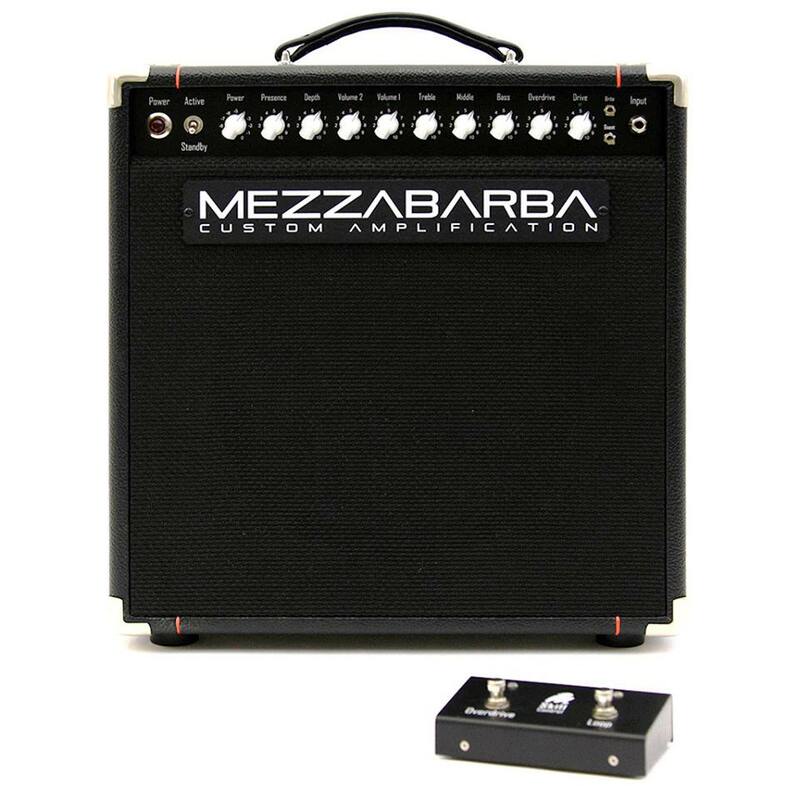 The Mezzabarba M-Zero Overdrive is an absolute BEAST of an amp! It's got gain for days, it's warm, it cuts through, and it doesn't have that scooped mid-range sound. The cleaner channel has a perfect break-up response to how hard I hit the strings. 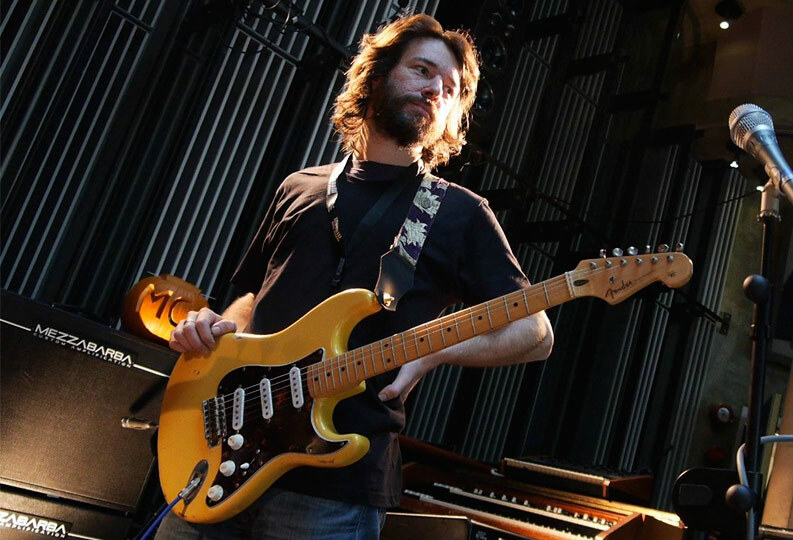 The depth control lets me add beefiness to my Strats. This thing sounds HUGE! And the M-Zero Overdrive looks cool as hell, too. You simply HAVE to take this thing out on the racetrack!" 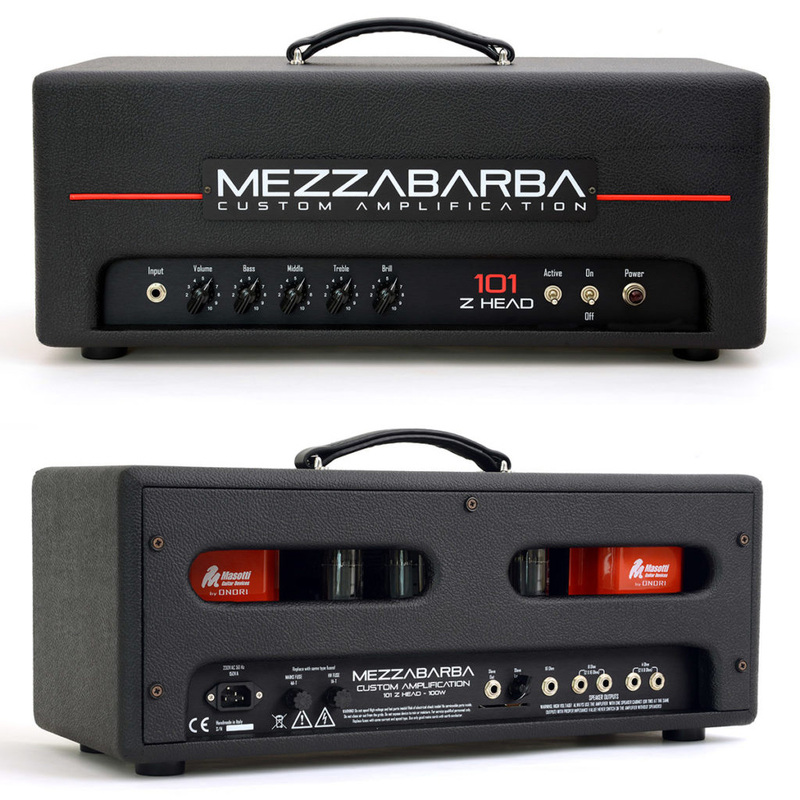 Recently I had the pleasure of playing through a MEZZABARBA OVERDRIVE amp that my friend and fellow shred guitarist JP Cervoni brought to the 8th annual N.A.M.M. 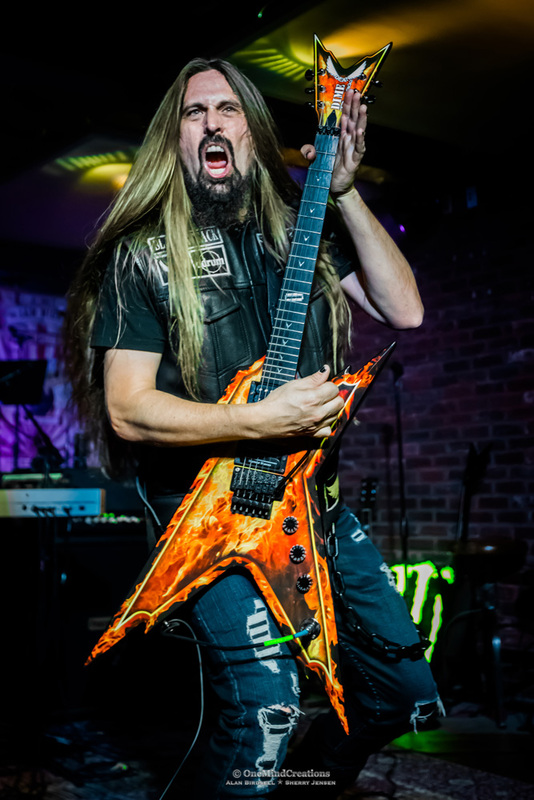 Metal Jam in Anaheim California. 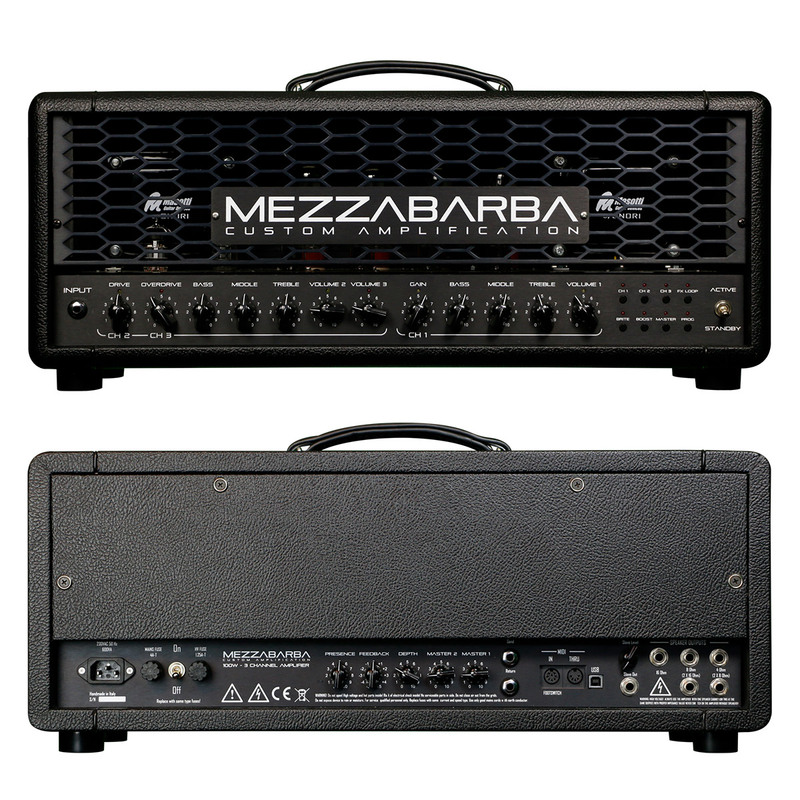 I must say that amp is a BEAST!!! 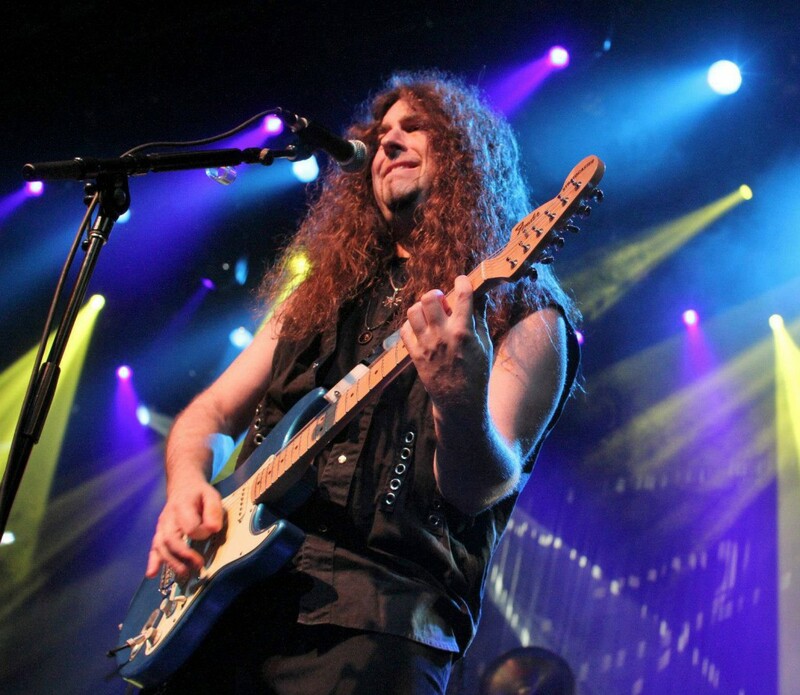 All the power, crunch, grit and glory that any heavy metal guitarist would dream of. 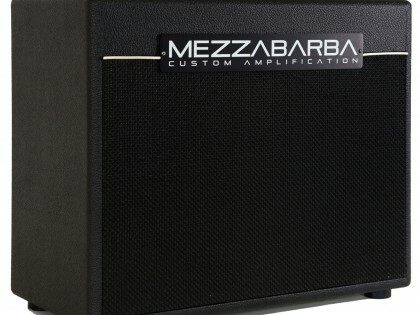 I loved the amp and would recommend to any metal guitarist out there shopping for a killer amp to give the MEZZABARBA OVERDRIVE amp a tryout, you won't be disappointed! 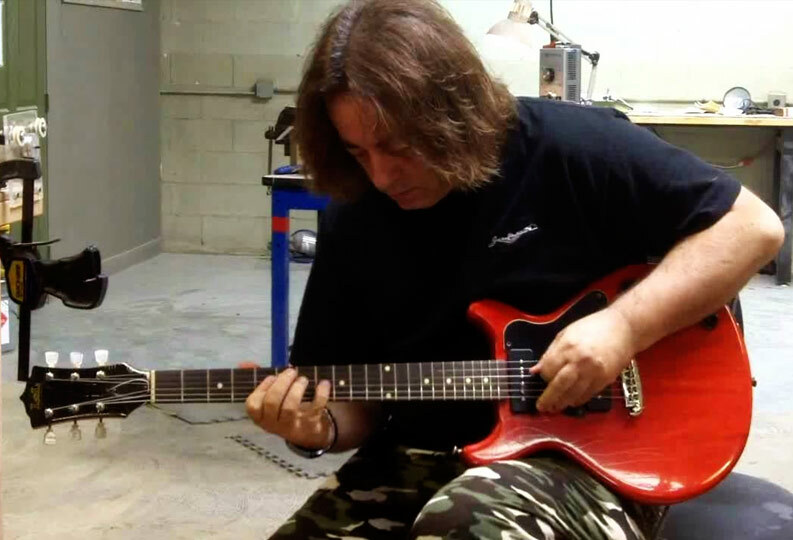 Thane FaraceGuitarist currently with Ghost Of War, DeathRiders, Rabid Assassin and more. 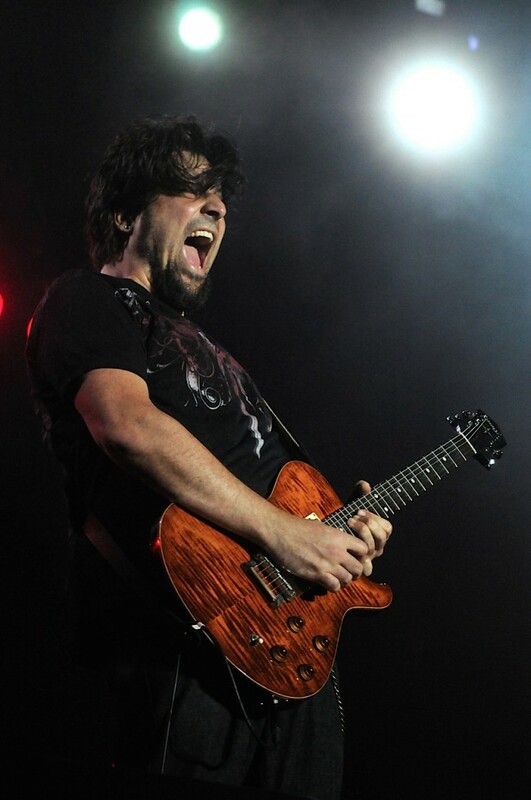 Endorsed by Epiphone guitars, Wornstar Clothing Company, Jagermeister Music Division. 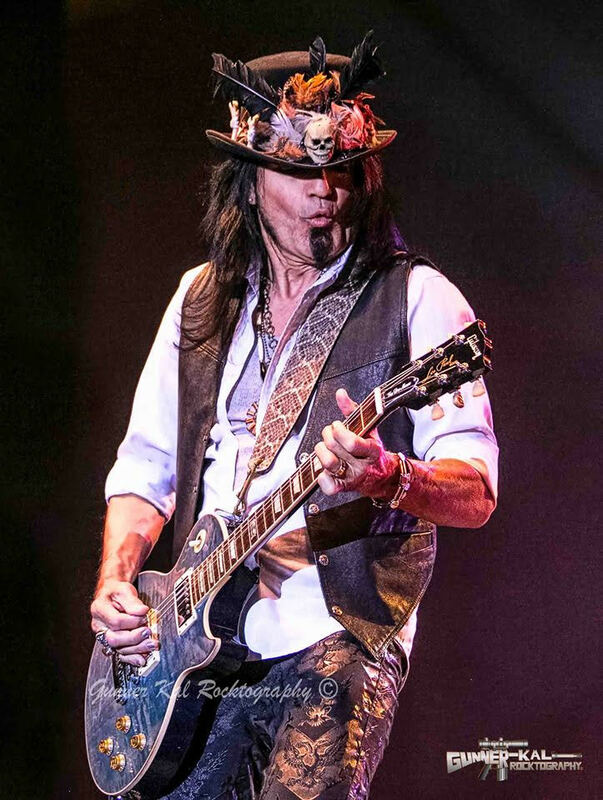 So much hanging with you last night... Man I love that amp!!! Lets hang next week.Thanks again for letting me use your rig... it sounded awesome!